Researchers have designed a new computer chip that promises to boost the performance of computers and data centers while processing applications in parallel. 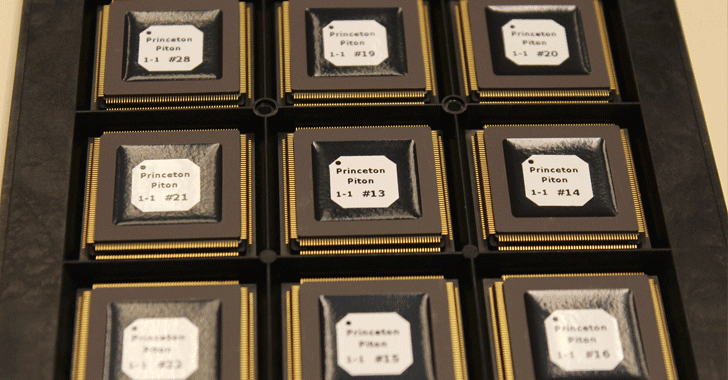 Princeton University researchers have developed a 25-core open source processor, dubbed Piton named after the metal spikes used by rock climbers, which has been designed to be flexible, highly scalable, fast and energy-efficient to satisfy the demands of massive-scale data centers. Every computer has a processor, but it's the core, a processing unit, which defines its actual efficiency and performance. A Processor can have a single core or multiple cores, which receive instructions, then performs calculations on it based on those instructions, and gives the results back. For example, the four independent processing units i.e. Cores of a quad-core processor can run multiple instructions at the same time, increasing the overall performance for applications compatible with parallel processing. However, researchers aim is to design a chip that could be used specifically for massive computing systems in large data centers that handle cloud services, email services, search and social networking requests. 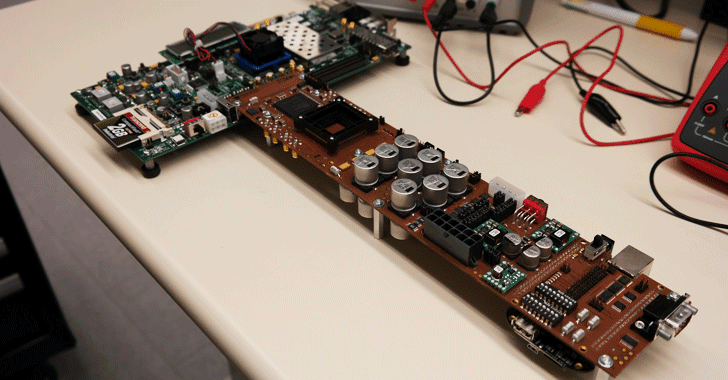 With Piton, researchers believe that they can create a giant 200,000-core computer stuffed with 8,000 64-bit Piton chips, ensuring the massive collection of cores are in sync when processing different applications in parallel. Piton is an open-source processor based on OpenSparc, which is a modified version of Oracle's OpenSparc T1 processor. The current version of the Piton chip measures 6mmx6mm with over 460 Million transistors (each 32nm), making Piton the largest chip developed by academia in size. "The chip we've made is among the largest ever built in academia and it shows how servers could run far more efficiently and cheaply," said David Wentzlaff, a Princeton University assistant professor of electrical engineering and faculty in the Department of Computer Science. We have seen a large number of chips with many dozens of cores developed in recent years. In 2011, researchers from University of Glasgow had created an ultra-fast 1,000-core computer processor. Also, IBM unveiled neuromorphic computing-based "TrueNorth" in 2014, which is a 4,096 cores brain-like processor chip designed to mimic the human brain for real-time power efficiency. However, the readily scalable design of Piton can allow thousands of cores on a single chip with half a Billion cores in the data center, and more cores mean more processing power. 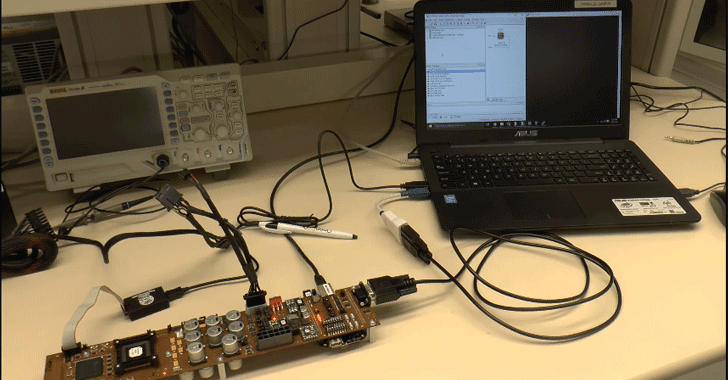 Another innovation by the researchers is a 'Memory-Traffic Shaper' that acts as a mediator between the demands of different apps accessing memory on the chip and waving them properly, so they do not block the system. This approach, researchers claimed, can yield an 18% increase in performance compared to conventional means of memory allocation. Piton is yet a prototype for future commercial server systems that possibly can take advantage of a huge number of cores to speed up processing. 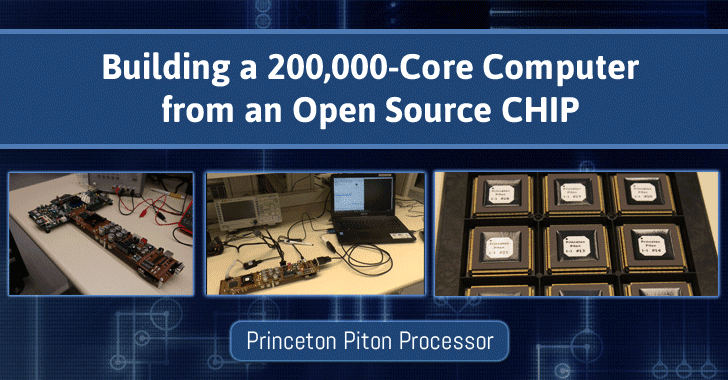 Details about Piton were presented at the Hot Chips: A Symposium on High-Performance Chips conference in Cupertino this week and the Princeton researchers have made the design open source, making it available to the public and fellow researchers.